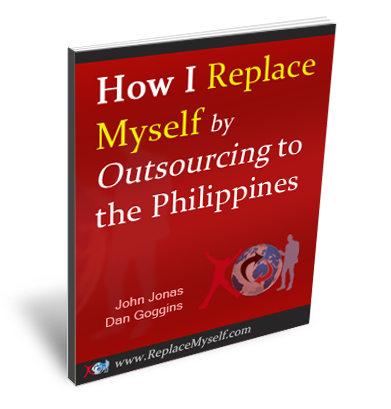 How To Replace Yourself By Hiring VA's In The Philippines For $1.82 Per Hour! 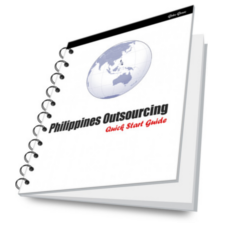 How to find honest, loyal, hard working Filipinos eager to work for your business. The unique set of cultural differences allows you to outsource things you would never do elsewhere. Learn the right tasks to get others to do so you efficiently get them doing YOUR WORK for you. I have 22 tips of things you NEED TO KNOW before you start. This will save you $1000's. Download The Ebook FREE For A Limited Time! 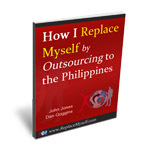 As part of celebrating having helped over 10,000 entrepreneurs hire Filipino VA's, we're giving the ebook away for a limited time. 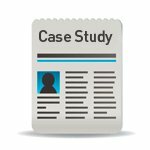 Join hundreds of others who have learned the secrets of hiring Filipino VA's and who are succeeding in their businesses because of it. I love your program. At the end of January I was able to quit my full time day job. I now have more freedom than I have had in years. I have nine Filipinos working for me, each in their niche, and they are wonderful. This is incredible!